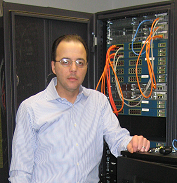 Kevin is a Sr. Network Engineer and Trainer with over 20 years of industry experience. He holds multiple Cisco certifications including a CCIE in Route/Switch and CCNPx3 in Route/Switch, Security, and Voice. Kevin is the architect of the Subnetting.net network infrastructure, and the designer of the training curriculum, videos, and lab guides. 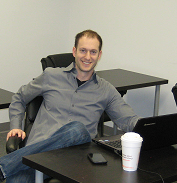 Trey is a Software Architect specializing in Microsoft .NET technologies and has over 15 years of industry experience. He is the creator of the Subnetting.net website and leads the software team. Trey has a Bachelors degree in Physics and Computer Science from the University of Rochester. 2012: Subnetting.net founded with great tools for learning and practicing subnetting. 2014: Pro Account launched with an emphasis on CCNA Practice Questions. 2015: CCNA Video Training, Labs, and Walkthroughs added.